Help us stop dangerous, illegal train track photos! | Operation Lifesaver, Inc. Recently, you may have read an article in the Washington Post, an op ed in the Atlanta Journal-Constitution, or seen an ABC News Nightline story about an alarming photography trend – people taking selfies, professional portraits and videos on train tracks and trestles. Since 2011, 13 people have been killed and four injured while taking photos or videos on the tracks. Pedestrian rail trespassing is the leading cause of rail-related deaths each year; 483 were killed in 2014 in the U.S. and more than 2,100 died on the tracks in the last four years, according to preliminary government statistics. Operation Lifesaver has been working to discourage this photography practice for years, via outreach to the news media, letter-writing campaigns and direct outreach to photographers, and co-hosting a 2012 webinar for members of Professional Photographers of America. Railroads have been active on this issue as well; for example, Union Pacific Railroad has created public service messages explaining why train tracks are the wrong place for senior photos. 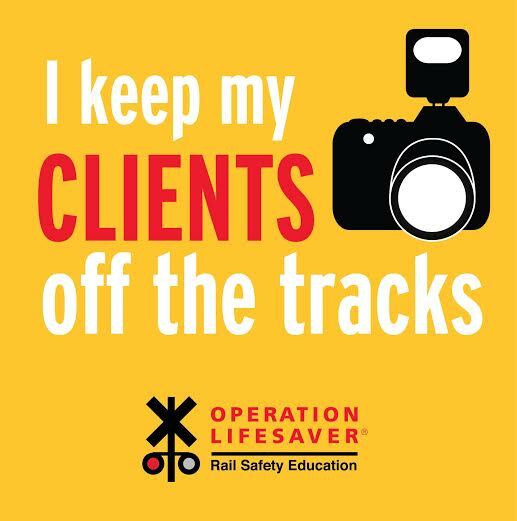 Today, we are partnering again with Professional Photographers of America on a free webinar for photographers, “Safety First: Photography Near Tracks and Trains,” and will share information from the webinar as a resource for all photographers. We are also working on some cool animated public service announcements aimed at professional photographers and selfie-takers, slated for release next month. And of course, our ongoing See Tracks? Think Train! 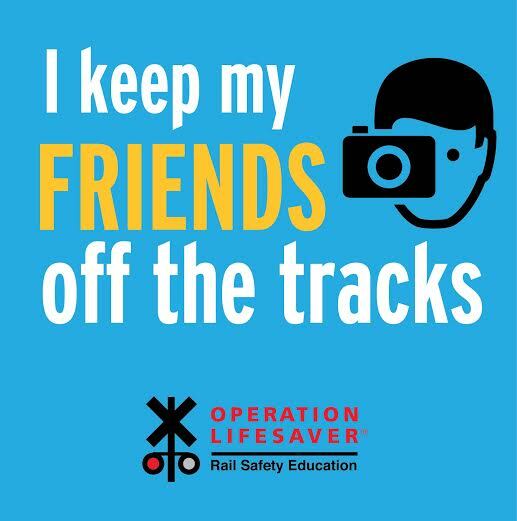 public awareness campaign, developed with the U.S. Department of Transportation and the railroad industry, offers information and resources to raise awareness about safety near tracks and trains. How can you help stop this dangerous trend? · Freight trains don’t run on a schedule – always expect a train on any track, in either direction, at any time. · Because of their size and weight, trains can’t stop quickly to avoid a person or object on the tracks. · Freight and passenger trains are faster and quieter than you think, and they overhang the tracks by at least three feet on both sides. · Railroad tracks, trestles, yards and equipment are private property and trespassers are subject to arrest and fine. Second, share these graphics on Facebook, Snapchat, Instagram, Twitter and other social media channels. 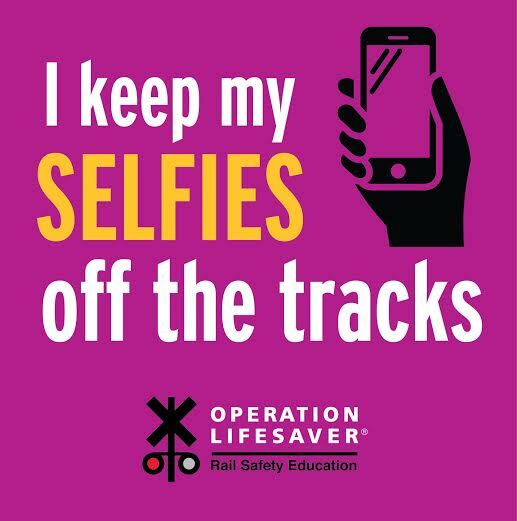 Use the hashtags #NoPhotosOnTrainTracks and #SeeTracksThinkTrain. Thank you for helping Operation Lifesaver stop these preventable tragedies. Together, we can save lives.